14:00–14:30 High resolution global shutter CMOS sensor for FPD inspection Gpixel INC.
14:30–15:00 OPT's Intelligent Vision System (SCI) makes the application of computer vision easier OPT Machine Vision Tech Co.,Ltd. 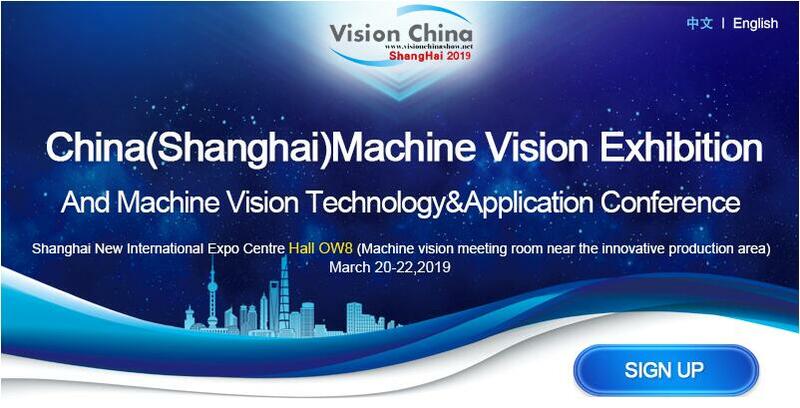 09:30–10:00 Three Steps to Complete The Production Resume and Machine Vision Positioning Guidance Advantech（China）Co.,LTD. 10:30-11:00 Navigator of AI -Technical Sharing of SUALAB in the Field of Defect Detection SUALAB Co., Ltd.
11:00–11:30 How to improve quality of 3D-AOI and OLED inspection by using Adimec cameras? 11:30–12:00 The new generation of vision sensors: Faster, smarter, stronger SensoPart (Shanghai) Industrial Automation Co., Ltd.
Mr. Toshiyuki Oshio , Minister of R&D Dept. 16:00–16:30 challenges brought by the development of high pixel cameras to optical lenses GuangZhou Chiopt Optotech Co.,Ltd. 11:00–11:30 Advanced Material Handling with New Sony DepthSense ToF 3D Technology LUCID Vision Labs, Inc.
11:30–12:00 Introducing the World's Highest Resolution Area Scan Camera and Color TDI Line Scan Camera Vieworks Co., Ltd.